Cristiano Ronaldo ranks among the greatest players of all time after his remarkable goal-scoring exploits with Real Madrid, Manchester United and Portugal. Now aged 31 and fresh off winning a third European title with club, the man from Madeira is approaching yet another major challenge - to inspire Portugal to win a major international title for the first time in their history. Portugal bounced back from the disappointment of crashing out at the group stages of the 2014 FIFA World Cup to qualify in style, ultimately, for the UEFA Euro 2016 finals. Along the way, they also defeated Argentina and Italy in friendlies along the way - opponents they had not managed to defeat at senior level for more than 40 years. Above all, Portugal head to France hoping to benefit from the full fitness of their captain and leading marksman Cristiano Ronaldo, whose injury handicap had played such a crucial role in their group-stage elimination in Brazil. Ronaldo spearheads a squad that is increasingly strengthened by a new young swathe of players, whose talents have drawn comparisonsto the so-called "golden generation" that featured the likes of Luis Figo, Rui Costa and Paulo Sousa who won the FIFA World Youth Cup in 1989 and 1991. In 2015, Portugal finished runners-up to Sweden (on penalties) at the UEFA European Under-21 Championship finals, and several of the players who starred in that tournament are likely to feature in France, most notably AS Monaco's nimbly skillful playmaker Bernardo Silva and anchor man William Carvalho from Sporting Lisbon. At the other end of the experience scale, goalkeepers Rui Patricio and Eduardo share around 80 caps between them behind a defence that has formed in the heat of big-occasion challenges, with players such as Bruno Alves Ricardo Carvalho and Real Madrid pair Pepe and Fabio Coentrao. Southampton duo Cedric Soares and Jose Fonte have cemented their position as integral pieces of the jigsaw concerning the defensive side of things for Portugal in recent years. Coach Fernando Santos has varied his tactics between 4-4-2 and 4-3-3, with Joao Moutinho remaining the lynchpin of the creative hub in either system. No one doubts that Portugal will present stern opposition in the finals, not least fter having reached the semi-finals four years ago when they were dumped out on penalties by champions Spain. 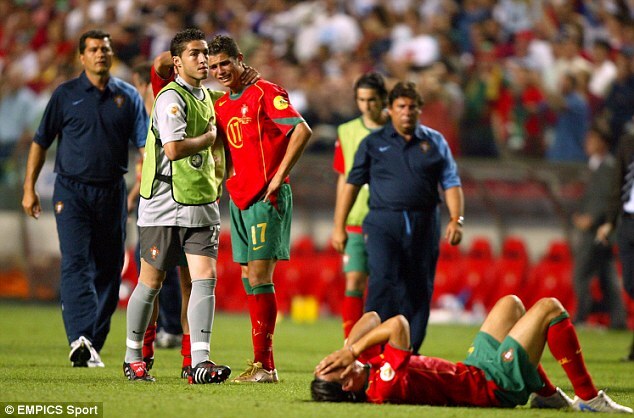 But Portugal, who have come so close so often, still await that elusive first senior trophy. The great Eusebio, Mario Coluna, Jose Augusto and their teammates finished third at the 1966 FIFA World Cup and then fourth in 2006. 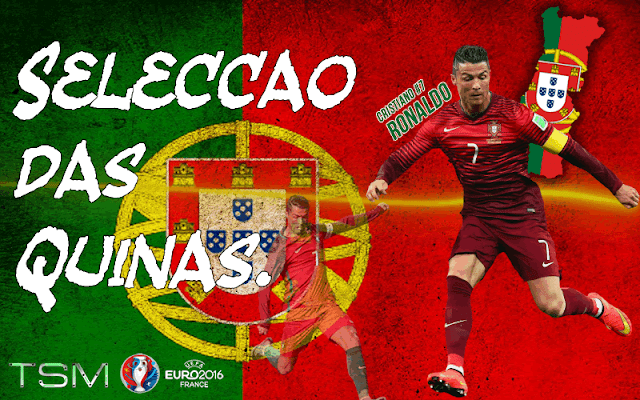 When they have qualified, Portugal have always progressed beyond the group stage at the European Championships. they reached the semi finals in 1984, 2000 and 2012. Most memorably though, as tournament hosts in 2004 they reached the final under manager Luiz Felipe Scolari. Portugal, lining up with the legendary Luis Figo and the explosive newcomer Ronaldo, were clear favourites to win against Greece in the Estadio da Luz in Lisbon. However, a goal from Angelos Charisteas early in the second half left them bitterly disappointed. That painful memory should serve as extra motivation in France. I don't see this Portuguese side winning the whole tournament, despite the talented pool of potential world-beaters in years to come lying in their ranks. They should comfortably win their group, arguably the weakest of the tournament, and go on to probably face Belgium in the last 16. Sadly, this would signal the end of the road for Ronaldo and Portugal in their quest for silverware. 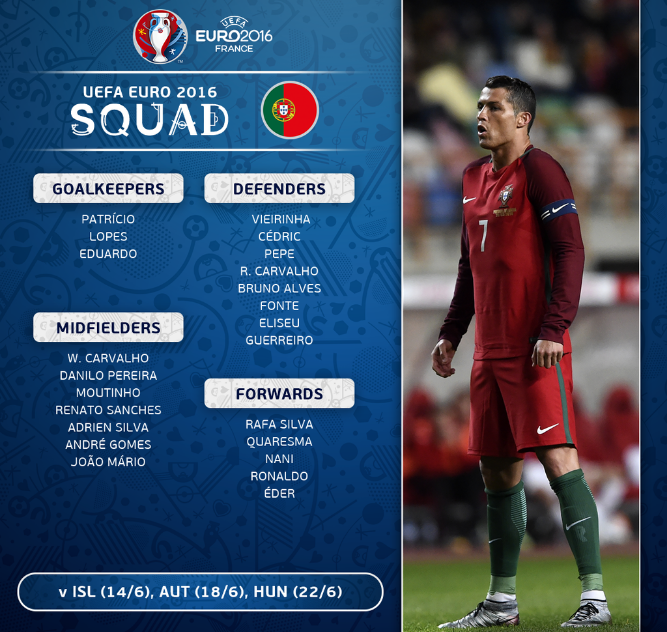 Euro 2016 Preview Series: Portugal.